The Egyptian police killed 19 extremists who were suspected of participating in Friday's attack on a bus with Coptic Christians, reported the Egyptian Interior Ministry today. As they explained, security forces surrounded the mountainous area in the province of Minya in the central part of Egypt, where the attack took place. The extremists then started shooting at the police who responded with shootings and killed 19 terrorists, the ministry said in a press release. In an operation that was not indicated by the ministry when it was held, they also seized automatic weapons. Armed attackers in the province of Minya attacked a bus with Coptic Christians on the road to the monastery on Friday and started shooting at him. Seven people were killed and 14 injured. The ultimate Sunnet group is the Islamic State (IS). Copts, representing ten percent of the entire population of Egypt, have been the target of IS attacks in recent years. 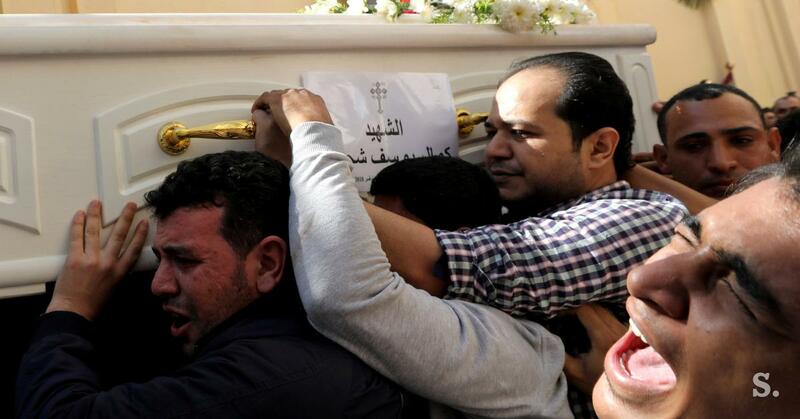 In April last year, extremists killed more than 40 people in two bombings on Coptic churches, and a month later in the province of Minya they shot another 30 Kopts death on their way to a monastery. In February of this year, the Egyptian army launched a major offensive against ISs # 39 on the Sinai Peninsula, where it has become extreme since the overthrow of the president Mohamed Mursi in 2013 managed to maintain a strong presence. According to her own claims, more than 450 extremists were killed in the Sinai operation in 2018.